Welcome to the NAIC Thai Yoga Center, Thai Massage and Indigenous Traditional Medicine Study Tours where you can travel to Thailand and receive certification in traditional SomaVeda® Thai Yoga (Traditional Thai Massage/ Thai Yoga Massage and Spiritually based Religious Therapeutics). NAIC has developed comprehensive programs which have been approved for CEUs toward certification for Certified SomaVeda® Thai Yoga Practitioner and or Certified Teacher. For 2018 we continue to offer opportunities to experience Thailand with our small group format. As usual, we will be basing our program on a cultural immersion/ Eco-Tour type of approach. We spend a significant portion of our program time working with indigenous teachers and professional Thais, in actually experiencing and learning traditional Thai Yoga healing arts and culture. 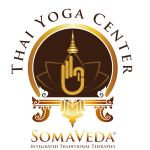 The Native American Indigenous Church, Inc. (NAIC) and the SomaVeda College of Natural Medicine: Thai Yoga Center represents the truest and most authentic visions of Indigenous Traditional Thai Medicine, Thai Culture and related healing Arts. Our Instructors are directly authorized teachers, representitives and traditional lineage holders in several different traditional Buddhist schools: Buddhai Sawan Institute Ayudthaya and Nongkam (famous for martial and healing arts for 900 years! ), Phra Wat Chetuphon (Buddhist Temple, Wat Po Traditional Thai Medical School…One of the oldest schools of traditional arts), Buntautuk Hilltribes Northern Provencial Hospital and Training Institute also known as “The Old Medicine Hospital of Shivago Komarpai. ITM (International Thai Massage, Chiangmai), Mama Lek Chaiya, The Foundation for the Blind, Buddhist Temple Wat Wianglock and the Wangklaikangwon Industrial Community & Educational College program sponsored by HM. King Bhumibol, Anantasuk Indigenbous Traditional Thai Massage) as well as several other significant lineages, teachers and Grand Masters. Most importantly the Buddhist medicine associated and derived from the famous Saint Shivago (Jivaka). In the states Traditional Lineage and teaching is primarily passed on via the educational programs of the SomaVeda College of Natural Medicine/ The Thai Yoga Center in Brooksville, FL. Additionally, we recognize any schools formally licensed as legal Thai Yoga and or Thai Massage schools by the Royal Thai Ministries of Health and of Education whether listed or not! The type of Thai traditional therapy that most people will be directly exposed to is ráksãa thaang nûat (healing massage treatment). This is what is more commonly known as the Nuat Thai or Nuad Boran styles of Thai Yoga therapy or the religious therapeutics/ spiritual massage, healing work of Thailand. Please note: for clarity although in common english we use the word “massage” we do not mean it in the same context as the typical western usage. In the west “Massage” means something like a “Rub Down” for money and is primarily referring to systems derived from Swedish Massage and Massage Therapy. “Thai Yoga and or Thai Massage” (Phaen Boran Ráksãa Thaang Nûat) is completely unrelated! It is a religious therapeutic and healing art derivative of the Theraveda Buddhism, Buddhist medicine, Classical Indian and Tibetan Indigenous Ayurveda and Yoga Vedanta. It is not required that one become a practicing buddhist to practice this healing art (but it helps!). Although it would be more accurate to call this medicine either by its traditional names or “Ancient, Anachronistic or Old Thai Way of Healing with The Hands”, the slang forms of “Thai Massage” is in use, and as long as this is so there will be some understandable confusion. For more information and details on What is Indigenous Traditional Thai Yoga and Thai Massage, you can learn more at The Thai Yoga Center website. 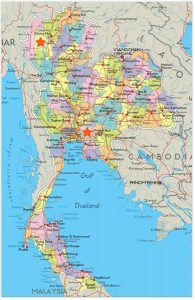 The Native American Indigenous Church/ SomaVeda College of Natural Medicine and Thai Yoga Center provides externship seminaries to the exotic country of Thailand. Learn Thai Yoga Today! Thailand is described by most travelers as the most exotic country on the planet. Nowhere else succeeds quite so well blending an age old culture of rich heritage and traditions, with the developments and advantages of the modern world. Tradition and cultural heritage is at the very core of daily life for the Thai people. Totally at peace with themselves and their world, there is a cheerfulness that is forever present in the faces of nearly everyone you meet. Our programs are the longest running in the industry and generally considered the very highest standard. We invite you to find out why! NAIC was founded by Aachan, Dr. Anthony B. James, and has been escorting students and practitioners to Thailand for over 35 years. Aachan, Dr. James was given the Instructor / Teacher and lineage holder of the Buddhai Sawan tradition of Thai Yoga by Grand Master Phaa Khruu Samaii Mesamarn, Nongkam, Thailand in 1984. Grand Master Samaii was the 36th generation Grand Master of the Buddhai Sawan School originally founded in Ayudthaya and a consultant to H.M. King Bhumibol Adulyadej, the current King of Thailand. Grand Master Samaii was honored by King Bhumibol several times during his life time for service to the royal family and the kingdom. Grand Master twice in his life received awards personally from King Bhumibol, the final award received only three years before Grand Master Samaii’s passing. Dr. Anthony James is an Ordained Minister, Registered Diplomat (SMOKH), Doctor of Natural Medicine, Registered Ayurveda Clinician and Dipl. Acupuncture. Holds International Medical Licenstiate from SMOKH NGO, Author, Lecturer and Dean of the NAIC Seminaries: SomaVeda College of Natural Medicine and Thai Yoga Center. Details and Registration for December 2018!! It is bordered to the north by Laos and Burma, to the east by Laos and Cambodia, to the south by the Gulf of Thailand and Malaysia, and to the west by the Andaman Sea and Burma. Its maritime boundaries include Vietnam in the Gulf of Thailand to the southeast and Indonesia and India in the Andaman Sea to the southwest. 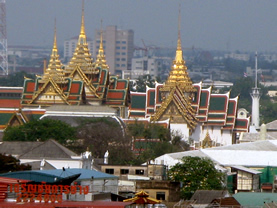 The capital and largest city of Thailand is Bangkok. It is also the country’s center of political, commercial, industrial and cultural activities. 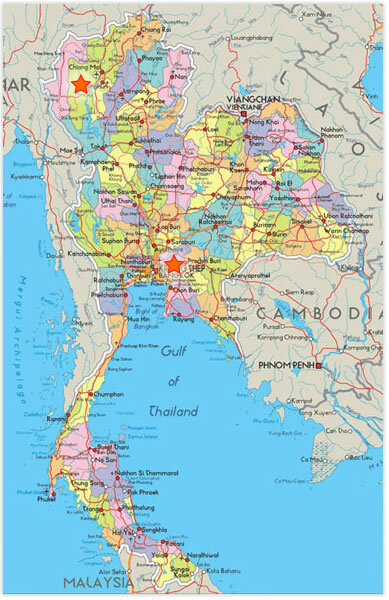 Thailand is the world’s 50th largest country in terms of total area (slightly smaller than Yemen and slightly larger than Spain), with a surface area of approximately 513,000 km2 (198,000 sq mi), and the 21st most-populous country, with approximately 64 million people. About 75% of the population is ethnically Thai, 14% is of Chinese origin, and 3% is ethnically Malay; the rest belong to minority groups including Mons, Khmers and various hill tribes. There are an estimated 2.2 million legal and illegal migrants in Thailand. Thailand has also attracted a small number of expatriates from developed countries in the West. The country’s official language is Thai. 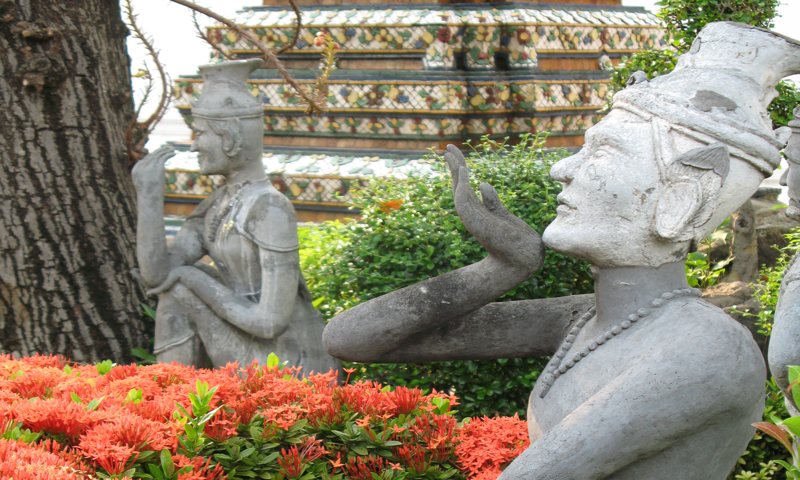 Thailand is one of the most devoutly Buddhist countries in the world. The national religion is Theravada Buddhism which is practiced by more than 94.7% of all Thais. Muslims make up 4.6% of the population and 0.7% belong to other religions. 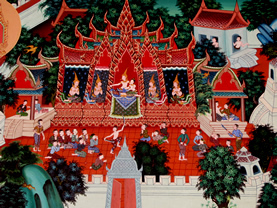 Culture and traditions in Thailand are significantly influenced by India, as are Burma, Laos and Cambodia. Thailand is a constitutional monarchy with King Bhumibol Adulyadej, the ninth king of the House of Chakri, as the ruling monarch. The king has reigned for more than sixty-three years, making him the longest reigning Thai monarch and the longest reigning current monarch in the world. The king is officially titled as the Head of State, the Head of the Armed Forces, an Upholder of the Buddhist religion, and the Supreme Supporter of all faiths. Thailand experienced rapid economic growth between 1985 and 1995 and today is a newly-industrialized country with an emphasis on exports and a flourishing tourism industry, thanks to various world-famous tourist destinations such as Pattaya, Bangkok, and Phuket. Contact NAIC Thailand Study Tours for more information and to register.